When Joanna Weaver came to Belhaven from Broken Arrow, Oklahoma in the fall of 2004, she had no idea what to expect. What she found was a caring environment, lifelong friendships, academic rigor and a Christian setting that would prepare her for something she could not imagine as a freshman business major on the Blazers’ women’s soccer team. 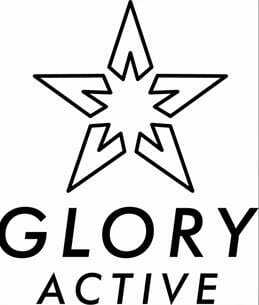 Today, Joanna is the CEO of Glory Active, a premium activewear brand that proudly supports Christian faith. The company’s mission is to inspire Christian women to wear clothing that reflects who they are and what they stand for. In an early morning devotion in March of 2017, the big idea hit Joanna. She felt God’s call to start building a women’s activewear business targeted to Christian women – with inspiring messages and designs. Her business background provided her the expertise and experience to get the idea off the ground and the brand officially launched six months later. Beyond offering premium quality apparel and faith-based messaging, Glory Active also gives back a portion of its profits to Christian charities and organizations.